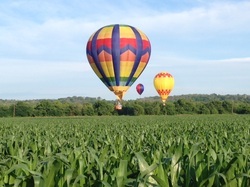 Photo courtesy of Lindstrand Balloons. This weekend competitors return to Middletown, OH to the Maury Sullivan directed event. 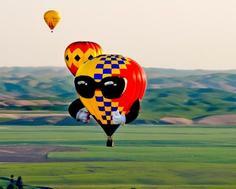 The weather is looking favorable for morning flights and evening glows to keep everyone happy. Last year all activities but the Friday evening sponsor flight were weathered out and there was no champion. This year Yudai Fujita from Japan will be mixing it up with the mostly regular crowd that has attended this balloon competition over the years. The favorite for the weekend will no doubt be Chase Donner coming in as current National Champion. Local Sean Askren will be looking to give him a run for the money as will World and National Champion Al Nels who is gearing up for the National Championship in just over a week. Also not to be counted out is the North Carolina contingent of Ken Draughn and Sam Parks and the most recent winner of the event attending this year, David Troutman. All-in-all the weekend looks to be highly competitive with GPS scored tasks and markers a plenty to be dropped. We should have pictures and scores as they become available throughout the weekend.! Al Nels on the land run. This morning in Middletown competitors had four tasks and lots of steerage and wind to fly the tasks. Task 1 was a Fly-in followed by a Maximum Distance Double Drop then a HWZ and lastly a LRN. The Fly-in was straight forward and at this target and the HWZ targets were triangles for the MXDD task. Competitors had to drop both markers inside a triangle. 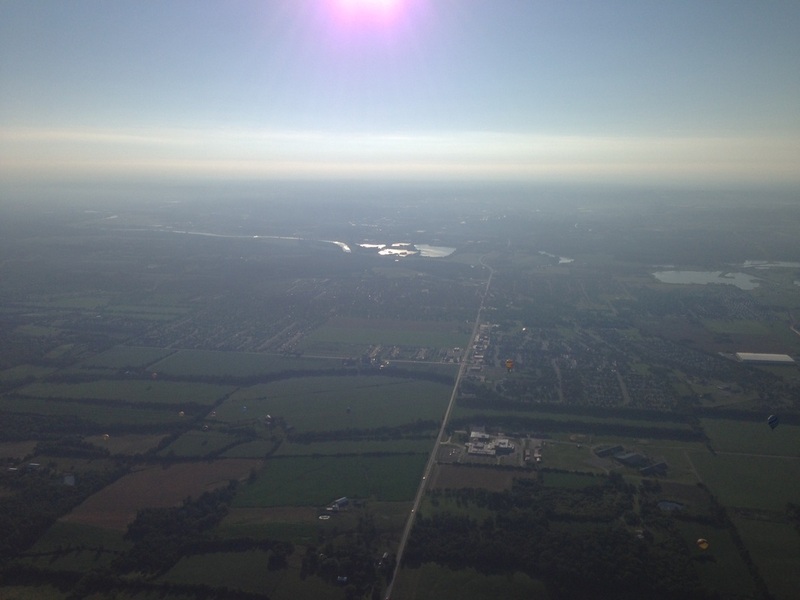 The best result was to fly to the furthest HWZ from the FIN and get the best MXDD that way. Chase Donner won the FIN task with a drop under a meter. Competitors had to work the right hand turn up a few hundred feet and drop down quickly to this target. 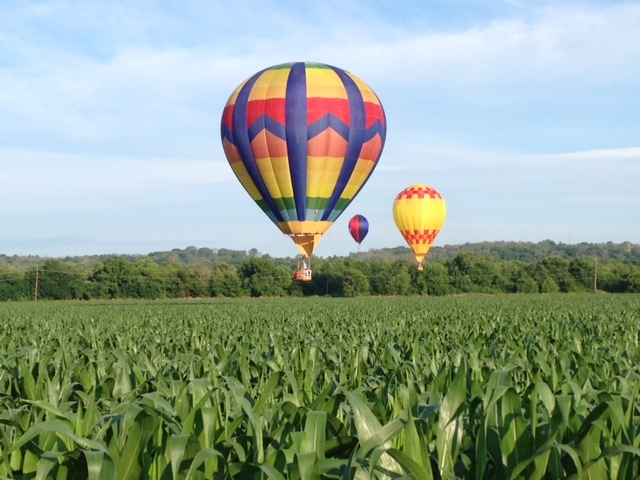 This resulted in some interesting looking balloons and at least one pilot making sure the ground was still there. Debbie Young bested the field on the MXDD, dropping her baggies at the two furthest triangles. The HWZ was won by DJ Stukas. 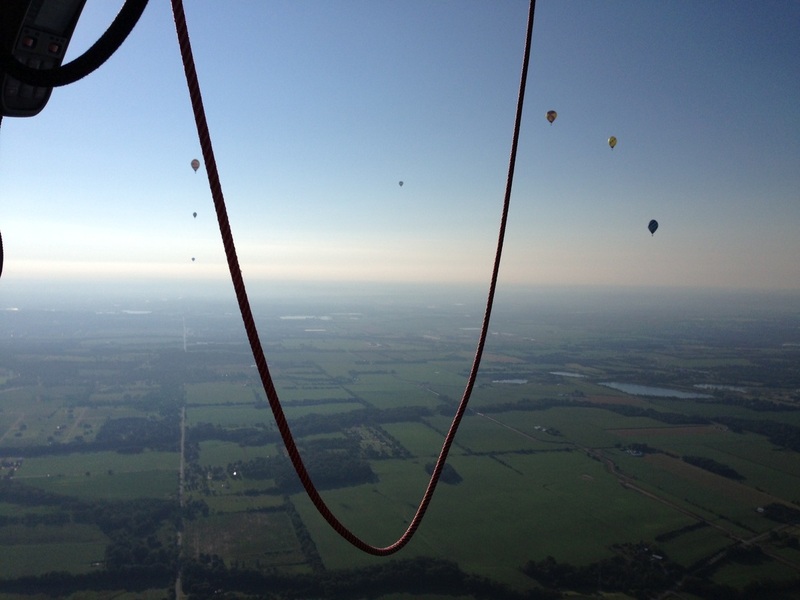 The LRN task had some interesting strategy with the balloons staying low first not getting as good of results at the pilots who flew higher and thus had faster winds and longer legs for their triangle. Points B and C were established after ten minutes. So today it was the greatest angle that won this task but the longer legs of the triangle thus making the larger area for the Land Run. Winds look flyable tonight in Middletown and scores should be up very soon. We have a photo of the overall scores with Jim Cusick pacing the field after one competitive flight. Chase Donner nearly flies off the map of the LRN task.